Which firearm do you carry around everyday? Do you carry everyday and everywhere you go? Have you become comfortable carrying it and don't feel self conscious anymore? Do you train regularly and actually feel awkward when you are not able to carry your handgun at your waist? Do you carry a spare magazine? There is a reason for all these questions. Stick with me. Do you carry a small "pocket" gun like an LCP or Diamondback? Or maybe something a little larger like an LC9, XDS, Shield or Glock 42/43 because they are so much thinner and lighter than a full size? Do you feel like it's time, and that you're ready to take the next step? I think maybe you should. If you ask me, it's time to go full size. The truth is that a small pocket gun, or anything smaller than a sub-compact, is more difficult to manipulate, reload, and be accurate with than a full size handgun. Let me throw in the caveat that I realize that there may be an exception or two to this statement. Times are changing, social and economic conditions are getting worse and Mr. Trump can't do anything about most of it, at least not right away. We must take care of ourselves and those who we have stewardship over. If you have chosen to carry a firearm every day I know that you already realize all of this very well. I believe that it's time for each of us to step up. Time to take another measurable step forward to increase our skills and ability to defend ourselves. For me, it's time to go full size! Springfield XD-9 Sub-compact, 3" barrel. When I say "It's time to go full size." 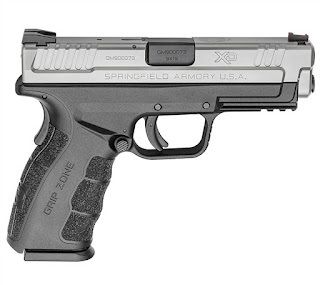 a sub-compact version of a handgun may be your next step as it is the same frame size as the full size version. Take this XD-9 Sub-Compact for example. The grip is shorter and the barrel is shorter making it a bit lighter and easier to conceal. 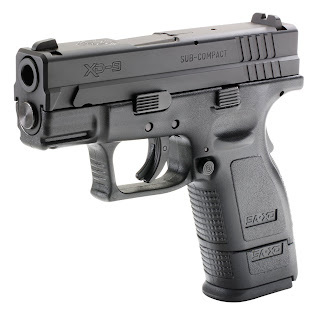 The compact version of this gun (actually an XDM) has the shorter grip but a longer barrel. There are exceptions such as the Sig Sauer P320 which sub-compact version has a slightly smaller grip size (but same frame) which accommodates smaller hands better. 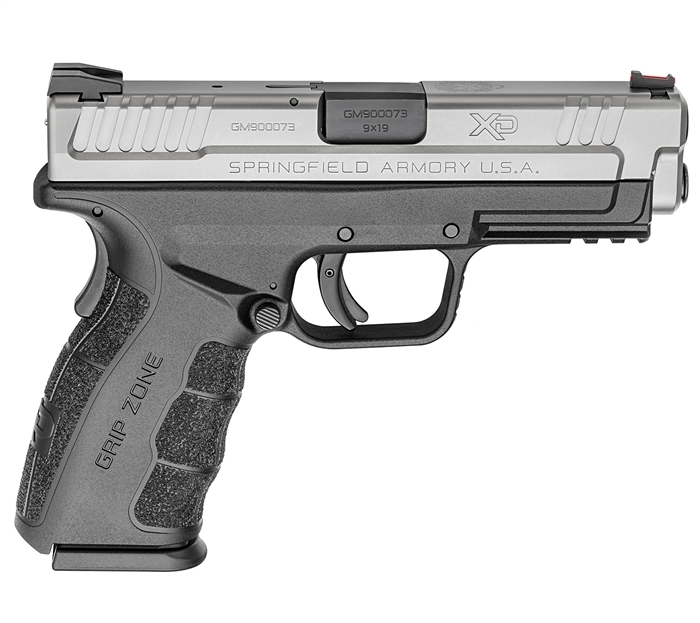 The compact and sub-compact models of the XD's have an extended magazine with higher capacity and provide a full length grip. The shorter magazine makes the gun easier to conceal because of the shorter grip. Springfield XD-9 Mod 2, Service - 4" barrel. Those who know me understand that I am very serious about defending myself and more importantly about defending the ones I am responsible for. The correct choice of firearm for me is nothing smaller than a sub-compact model, which I have been carrying for several years. This has been an evolution for me. 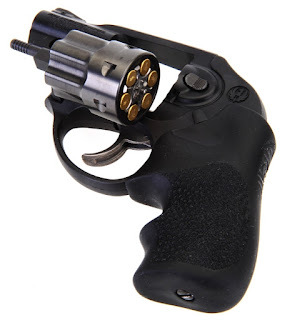 A process starting with smaller, less capable firearms just like I am recommending to you. I now feel it's time that I stepped up my game a bit, not just because I am more comfortable with my skills but because times are changing and I feel I need to step it up a notch in order to be adequately prepared. As to capability, I'm not going to discuss caliber. Just like the model of handgun you choose must fit your hand like it's meant to be there, as if it's an extension of your hand, the caliber you choose is a personal decision because it more about shot placement than caliber. This is where your personal choice of handgun, as well as holster, is vitally important. A full size hand gun adds more benefits including higher round count, longer grip for better control and a longer barrel and sight radius for better accuracy. The longer barrel also adds some weight which helps to minimize recoil which then allows for quicker follow up shots. I believe in having the right tool before I need it. This concept applies perfectly here. I already carry a sub-compact so I'm stepping it up to true full size 4" barrel and full length grip as my concealed carry firearm. Because I already carried a sub-compact I don't really need to make any changes to my clothing or how I carry my firearm. If you carry an LCP and decide to move up to a full size you'll likely need to make some changes to how and where on your body you carry. 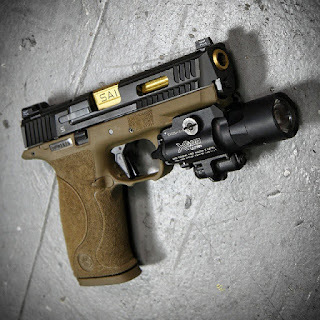 Smith & Wesson, M&P, 4" barrel, with some nice work done by Salient. As I already mentioned, selecting, learning about and carrying concealed various different firearms over the years has been an evolutionary process for me. Now I am making yet another evolutionary step for me in the size of my EDC firearm. I'm sure you have heard the phrase "Go big or go home." This couldn't be more true when choosing between a pocket pistol or a full size handgun. If you carry an NAA Pug in .22 magnum you're only good for a few feet of accuracy whereas if you carry a 4" M&P 9 or Glock 19 your capabilities are far greater. The more capable handgun will serve you much better in many more situations than a less capable handgun. That being said I certainly hope that you'll carry something, anything. 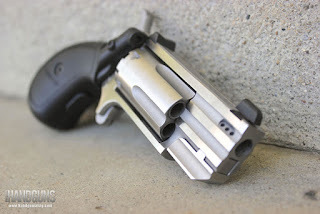 Keep in mind that it's not much more difficult to carry a Ruger LCR than an NAA Pug in .22 magnum but the LCR in 38 special, 9mm or even .357 magnum is far more capable. I hope you see where I'm hoping to lead you. If you can, go big. If not, go with as much gun as possible.